This is Michael from the future and I wanted to give you some thoughts as you join DECA. It’s going to be an incredible journey, but I want to kind of give you some tips in order for you to maybe handle the speedbumps a little better. Try to be more confident in yourself. When you compete, make sure to give it everything and leave no stone unturned. I think up until now, being bullied, all the different things that went on through school really held you back. Pull your shoulders back, have your head held high, and have confidence because you deserve to be here no matter what everyone else says. Positivity is everything. There will be low moments. And about last year, make sure everyone wakes up for the bus and to keep track of your presentation supplies. When you have those difficult moments, I know how it feels. But this far ahead in the future, I can tell you that everything will be all right. I realize that you can’t change the past. All you can do is change the future. There will be times where things didn’t go our way. You have to do double for them to not have an excuse to take that away from you, but remember you’re the best person to believe in. Your DECA family will be there for you. And there’s nobody that will be there to fight your corner as much as them. 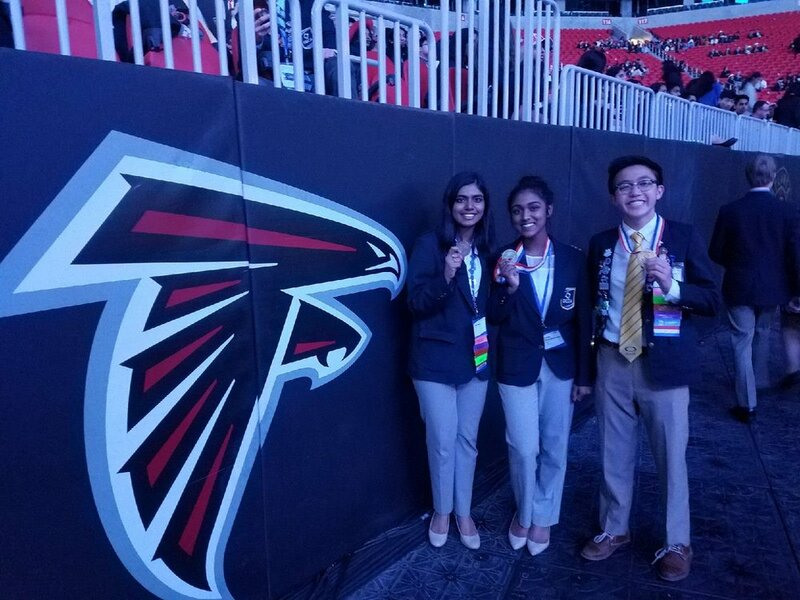 DECA will bring many tears to your eyes- some of sadness and defeat (not becoming district president, missing finals awards, and messing up your ICDC presentation) but many of disbelief and happiness (visiting universal and Disneyland, being elected district 4 vice president, and going on stage for top-10 at ICDC) You’ll never believe that the first year, 2017, you will go to ICDC. There might’ve been better speakers and writers but nobody could’ve out-prepared you. Even though you had every intention to become a dentist or baker in the future, you’re going to learn so much and have a great time competing in Restaurant and Food Service Management and Learn and Earn Project. You’re going to learn so much about business and DECA along the way but more importantly learn about yourself and those around you. You’re going to make a lot of great relationships along the way. I’d just say to take your time and make some time for yourself. But dude, live it up, live it to the fullest. You’ll meet so many great people- Patrick, Naqeeb, Ishaan, Alamin, Peyton, Anthony, Chris, Harrison, Hayden, Matt, Tianhui, Bhavya, Omar, Zaid, Kevin, Karim, and Andrew. They will introduce you to so many amazing things and change the way you view the world. There’s so many opportunities and possibilities ahead. There’s so much potential in you- more than anyone else you’re competing against. Give it everything.